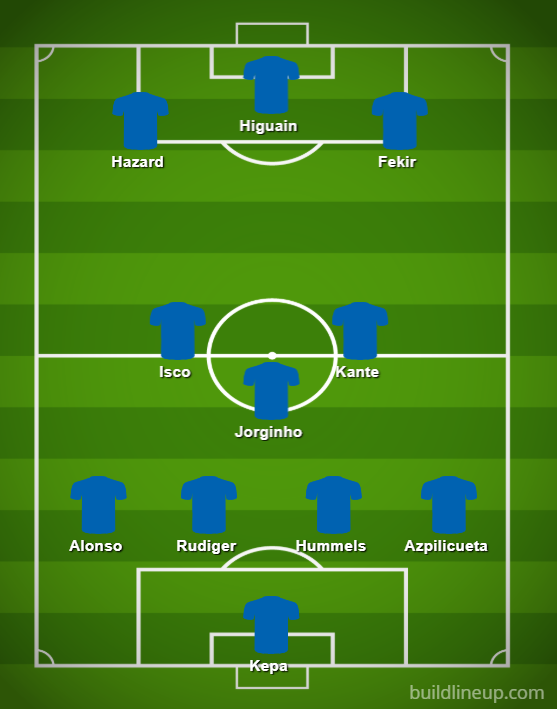 Chelsea started so well under Maurizio Sarri, but a title challenge in the second half of this season now looks a lot less likely without some big change in the next few months – or perhaps some good moves in the January transfer window. The Blues have played some fine football this season, which already makes it a pretty big improvement on their difficult second year under Antonio Conte last term, but some glaring weaknesses in their squad remain. 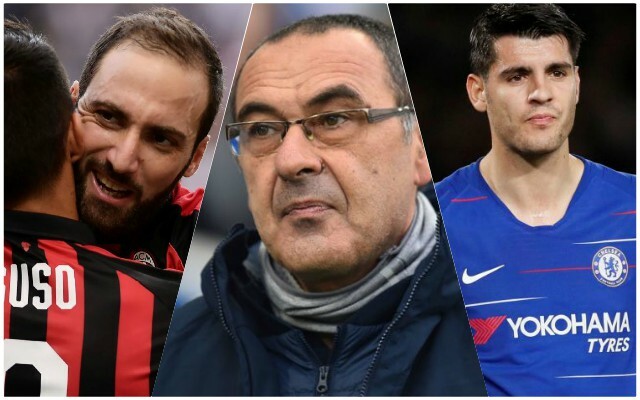 Unsurprisingly, transfer rumours have been flying about for some time now about how Chelsea might shake things up with ins and outs in the middle of the season. Chelsea are reportedly in pole position to sign Lyon star Nabil Fekir, according to L’Equipe, with translation from Get French Football News. The France international is one of the best attacking midfielders in Europe at the moment and would be a superb addition to the Blues’ squad this winter. Sport have also linked Fekir with Barcelona, stating he’d likely cost around £67million. No longer a Chelsea regular and perhaps past his peak in terms of playing regularly in the fast and frantic pace of the Premier League, few would be surprised to see Cesc Fabregas leave west London this winter. According to the Evening Standard, Monaco are one of the clubs looking into signing the classy Spaniard, which seems a logical move for all involved. Fabregas would add experience to a Monaco side struggling under Thierry Henry, and would surely get the playing time he craves with the Ligue 1 club, playing in a less competitive league that could help prolong his career. Surely the ideal striker for the needs of this Chelsea side, Gonzalo Higuain was linked with the Blues in the summer and is said to be a target for his old manager Sarri again. Now at AC Milan, it’s claimed by Gianluca Di Marzio that Chelsea could revive their interest in the Argentine for January, in a move that would seriously strengthen their goal threat. Although Higuain has not played in the Premier League before, he’s scored 274 goals in his career in Europe, shining for Real Madrid, Napoli and Juventus before his summer move to the San Siro. That piece also states that moving in the opposite direction could be Alvaro Morata – one of the obvious weak points in this CFC squad. The Spain international has not done enough since joining the club last season, but has shone in a spell in Serie A in the past with Juventus. Milan seems a good next move for him to revive his career as it just hasn’t happened for him in England and Chelsea need someone more reliable in the final third. Don Balon have suggested a deal for Isco to leave Real Madrid may be a matter of days away, with Chelsea seemingly leading the running for his signature. The Spanish publication claim Real expect to bring in around £72.3m for the 26-year-old playmaker, who has not played as often this season but who seems an ideal fit for Sarri’s style of play, particularly if Fabregas leaves a gap in that midfield area. In a report that might disappoint some Chelsea fans, the Evening Standard claim the club are considering allowing Tammy Abraham to leave permanently in January. The exciting young striker has shone in loan spells with Bristol City and now Aston Villa, but getting a regular place in this competitive Chelsea squad is a whole other matter. Chelsea could do with one more top quality centre-back, and the Metro claim they’ve held talks over signing Mats Hummels from Bayern Munich. The Germany international has not been as much of a regular at the Allianz Arena this season, but would surely get the kind of playing time he wants at Stamford Bridge. A defender heading out of Chelsea could be Gary Cahill, which seems more than likely after his drop down in the pecking order this season. The Telegraph recently reported that the former England international would be made available on loan by CFC, and one imagines he won’t be short of suitors. Calciomercato have even linked Cahill with big names like Manchester United and AC Milan this season.